Call Now For Same Day Furnace Repair. Whether you’re looking for Home Furnace repair, Boiler & Heat Pump repair, or a new gas furnace installation, Our technicians can help you within 24hrs. We will be your best, most-trusted option for fast, quick, and easy furnace repair, and tune-up. We have fully trained and NATE certified staff with the experience needed to assist you with your residential HVAC needs. One of our goals here at Temperature Experts is to help you make an informed decision that you will be satisfied with, for years to come. 24 Hours a Day, 7 Days a Week, 365 Days a Year-That’s our Promise, we are only a phone call away. You can book, change or cancel your furnace repair appointment at any time with our flexible scheduling. Protect all of your heating units such as furnace, boiler & Heating pumps with our preventive maintenance program. We’ll update you about your furnace repair appointment via text, email or phone–whichever you prefer. There is nothing worse than waking up cold in the middle of the night in western NY and find out your furnace is working poorly. There could be multiple reasons that your furnace is not working properly. If you find any of following then you need a Pro HVAC technician to do your Furnace Repair. 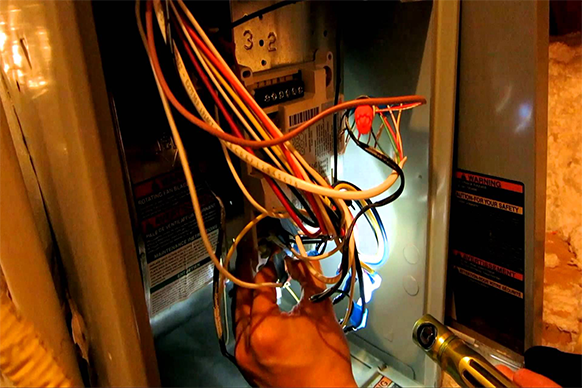 Here are some common signs which lead to a Furnace Repair Call. The first, most obvious sign, is a furnace leak. If a leak has occurred it’s time to call one of our pro furnace repair techs to find the source of the leak and fix it ASAP. A second sign is when your furnace is making strange noises. This may indicate that it’s time for your furnace repair. A third sign is when there is no heat coming from the vents. This may signify an inefficiency problem with your HVAC system that could either be a quick fix or if the problem is severe, it may require a replacement. A fourth sign is when you get poor air quality from your vents. As we all know that how important it is to Tune-up your furnace before every winter, because a not maintained furnace can end up being a huge financial burden on you. A new filter can make a furnace work more efficiently, a newer filter won’t struggle to allow air to pass through it, therefore your heating unit won’t have to work as hard. A furnace that has regular tune-ups can help to ensure that it will function at its best. Call our office and ask for Furnace Tune-Up Special. We have great offers for New Customers. Our technicians work with two basic models of furnaces natural gas and electrical. Both types of furnaces have their pros and cons. Natural gas furnaces cost you less on monthly basis, but they are expensive to install. On the other hand, electric furnaces are cheap to install but your monthly bill will keep rising with them, as the rate of electricity will go up. Regardless of what type of furnace works best for your home, you need a team that knows the different systems intimately and can make a recommendation based on your needs. Our team at Temperature Experts can provide timely advice for you, then perform the installation or replacement with the attention to quality you need. We take our service calls very seriously because we know how important it is for you to keep your house warm in the freezing winter of Buffalo NY. 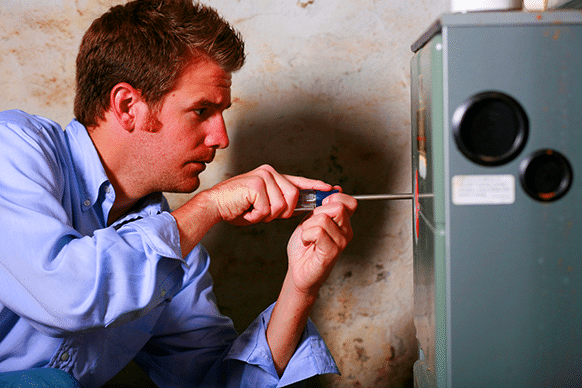 We make sure our furnace repair technician arrives on time and do the necessary repairs at the best price. Many homes in the Buffalo NY area rely on forced-air furnaces to keep warm: generating heated air in a single location and blowing it through your house using a system of ducts. 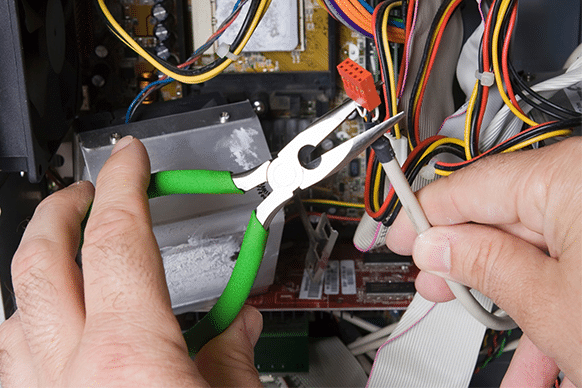 Our Experienced and Certified furnace repair technicians have decades of experience with furnace repair services. We also perform emergency services and can be anywhere in the Buffalo, NY area on short notice in the event you can’t wait. Call us to make an appointment with a team that truly cares. Furnace not producing enough heat, safety switch on furnace door broken, debris in burners, not enough lubrication for furnace blower, issues with electric ignition or pilot control, Noisy furnace or ductwork, Smelling gas, Debris from the heat pump, if you have any of these furnace repair issues, then don’t delay call us right away. Our main motive is to keep your home warm during freezing western NY winters. Without a functioning furnace, your family home could turn into an icebox in a matter of hours. So give us a call and ask for Furnace repair Special and we will give you $50 Off On Furnace Repair. That’s why we offer a 100% customer satisfaction guarantee for all furnace repair services at the best price in the Buffalo area. We know that your heating system is one of the most important parts of the home, and we’re dedicated to fixing every problem the way it should be. We provide Furnace Repair Service in Orchard Park – Boston – Grand Island – Colden – Glenwood – Hamburg – Lakeview – Depew – Angola – Brant – Eden – North Collins – West Seneca – Blasdell – Lackawanna – Buffalo – Williamsville – Kenmore – Tonawanda – Amherst – Eggertsville – Snyder – Getzville NY– Clarence – Cheektowaga – Lockport – Lancaster – East Aurora – Holland – Elma – Pendleton – Akron – Alden – East Amherst NY. Call us today at (716) 931-4328.